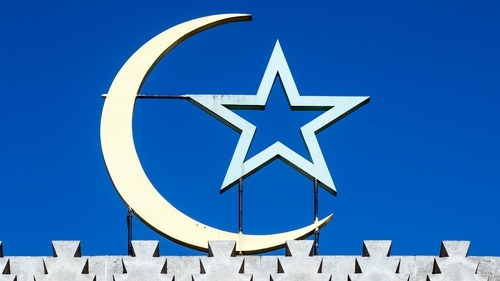 There has been a significant increase in complaints by Muslims of discrimination in 15 EU states, according to research by the EU’s Fundamental Rights Agency (FRA). In today's report, the FRA said that although Muslims are the second largest religious group in the EU, there is no systematic data collection on their experiences of discrimination and racist victimisation in the EU's 28 member states. The Brussels-sponsored agency said its findings are based on the EU's most extensive dataset available on Muslims. It conducted face-to-face interviews last year with over 25,000 people over the age of 16 from different immigrant and ethnic minority groups in all 28 states. It then extrapolated results for over 10,500 who self-identified as Muslims in 15 of them. An FRA spokesperson explained that Ireland does not feature because it is not home to one of the larger clusters of EU Muslims. The 15 countries were: Austria, Belgium, Cyprus, Denmark, Finland, France, Germany, Greece, Italy, Malta, The Netherlands, Slovenia, Spain, Sweden, and the UK. The FRA says all respondents were selected randomly and the survey results are representative for selected groups of first and second generation Muslim immigrants born outside the EU. Over 92% said they are comfortable with neighbours from different religious backgrounds, and almost half (48%) indicate they would feel "totally comfortable" with a family member marrying a non-Muslim person. Just over three-quarters (76%) feel strongly attached to their country of residence. Between 2011 and last year, 39% felt discriminated against on average five or more times a year because of their ethnic or immigrant backgrounds. They reported such exclusion in one or more of the following areas: employment, education, housing, healthcare and when using public or private services. 12% of those who felt discriminated against reported the incident. 9% reported hate-motivated harassment to a relevant authority or service while just under one-quarter (23%) reported hate crime attacks to the police or other organisation. But 81% of those who reported a physical assault to the police were dissatisfied with the response. The Agency recommends that legal action be taken to combat ethnic and religious discrimination and hate crime and calls on the EU to help those who are reaching out to Muslim communities to, for example, reinforce trust in the police. It also urges support for efforts to better address the needs of Muslim victims of hate crime and, in particular, female victims. The FRA's Director Michael O'Flaherty said the survey results make a mockery of the claim that Muslims aren't integrated into our societies. "On the contrary, we see a trust in democratic institutions that is higher than much of the general population," he said in a statement accompanying tpday's publication. However, he warned that every incident of discrimination and hate crime hampers Muslims' inclusion and reduces their chances of finding employment. "We risk alienating individuals and their communities, with potentially perilous consequences," Mr O'Flaherty warned. The agency says its research on ethnic minorities supports EU policy makers in the areas of integration and internal security.